No matter how many times I have visited Jogja, Jogja still and always takes a special place in deep of my heart. Jogja is one of special city, one of my favourite cities in Indonesia. I really like how most people are very friendly, warmth and welcoming. I remember, probably when I was in elementary school, yes it was my first time of visiting Jogja even I still on childhood age at that time but I just felt in love with this city. Luckily, a month ago I had a chance to visit Jogja again, yeayyy !!. There's no big change with this place, still warmth and amazing as usual. I love enjoying my days sitting at cafe in south part of Jogja, and sometimes overhear random conversation tourists have hehe. Most conversation are about things that what to do in Jogja, I jump into their conversation and give some suggestions. Suddenly I realize that I haven't written a guide on things to do in Jogja (Heyy, I've written about things to do in Sawarna, check it out !!). 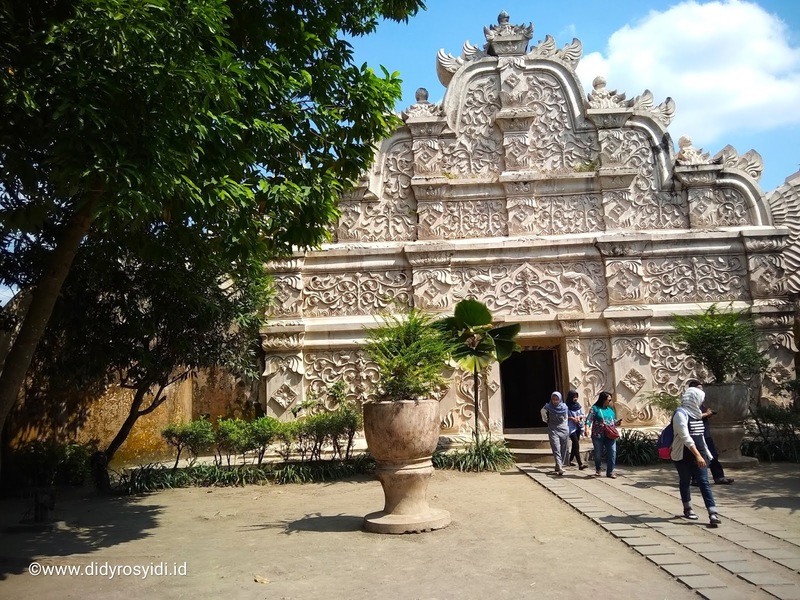 Now, I think that I should write some suggestion on things to do in Jogja, here are some suggestions when I do jump into a random conversation with the tourists in Jogja. 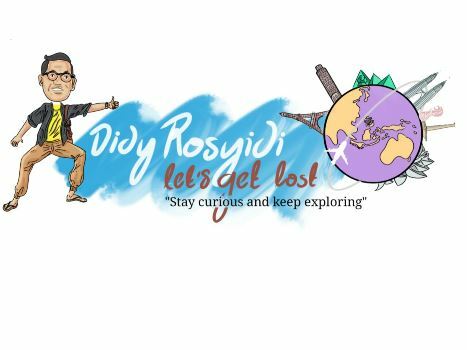 I'm pretty sure that there are actually many things that you can do in Jogja, but this suggestion list surely will help you to find out what Jogja has to offer. I hope you enjoy it ! !, and please note that I make this list starts with the essential things to do in the city based on my humble experience hehehe. Who doesn't know about the temples ?, I bet all of you know with these gorgeous temples. Though Borobudur temple is not located in Jogja, the temple however is one of the biggest reason why people visit Jogja, it only takes around 40 minutes to visit the temple from Jogja. 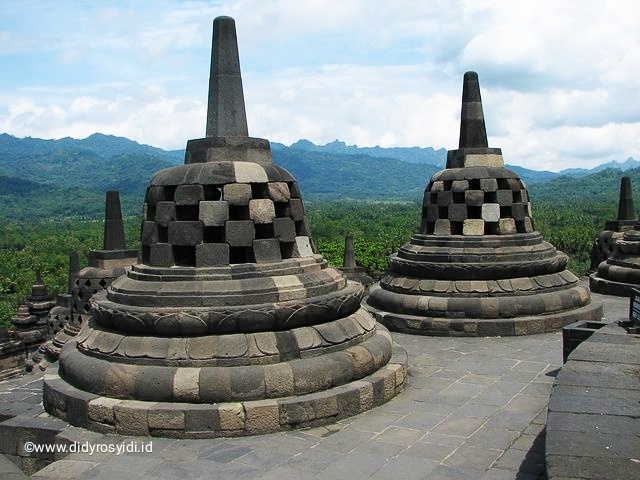 If you do visit Borobudur try to take a gorgeous sunrise tour. It's really worth for the view !!. 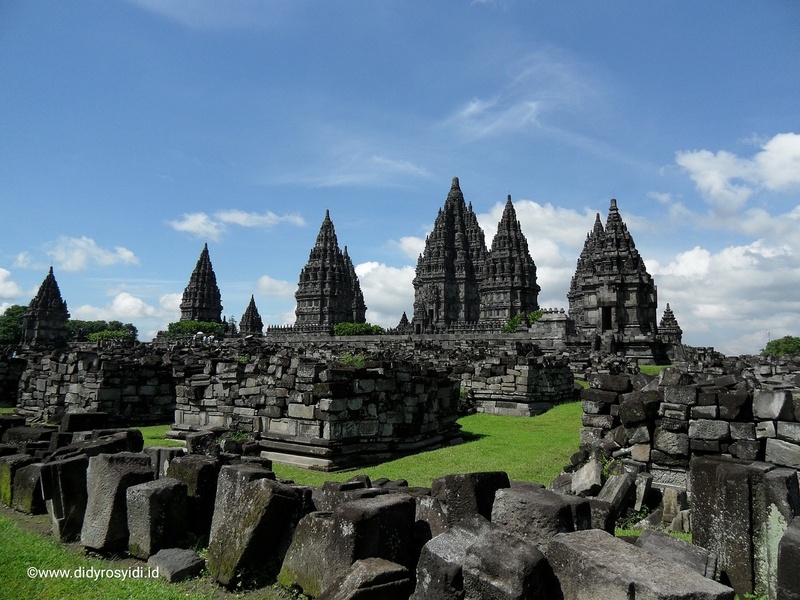 Besides Borobudur the other big famous temple that you need to visit is Prambanan Temple, which is a Hindu temple. Actually there's a package tour that all in these temples and the price will be cheaper than you take a single price ticket. FYI, for the entrance ticket per temple is 40,000 rupiahs for local adult, 20,000 for local children and 25 USD for the foreigner, and If you want to visit all those temple I suggest you to take a package ticket, it will be cheaper around 10% (update June 2018). I'm pretty sure 100% you will fall in love with those temples, so be sure to put this on your itinerary list 😉. Talk about Jogja will not be complete if we don't reach about Kraton Jogja. 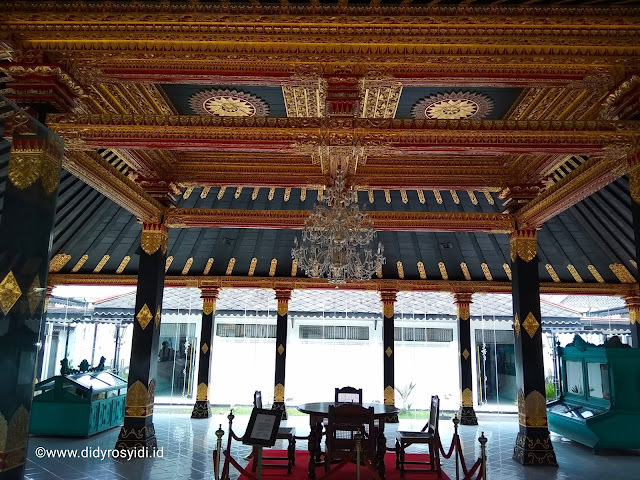 The Kraton Kasultanan Ngayogyakarta Hadiningrat, well known as Kraton, is basically the royal palace. It is where exactly the King and his family stay. From this place we can learn about the kingdom's history and Javanese tradition. You will be amaze how tradition is kept by them perfectly. And one of my most favourite place nearby Kraton is Kraton Museum, it is a great place to visit and learn more about Javanese culture directly from people who keep the tradition alive in every single day. There's a Javanese cultural show that you can enjoy every day either at 9 or 10 AM, there will be different performance every day such as traditional dancing, wayang kulit/golek , gamelan and etc. Perfect ! 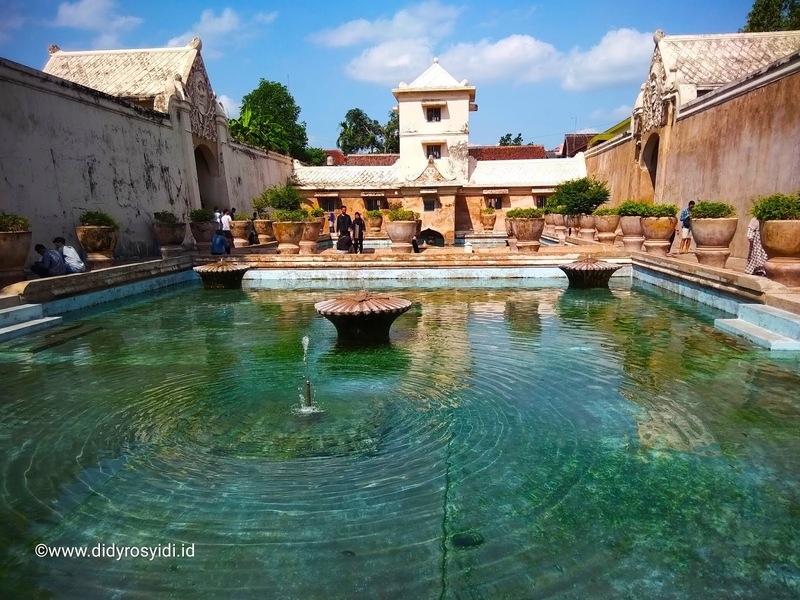 !, After exploring The Kraton don't forget to wander around Taman Sari Water Castle. 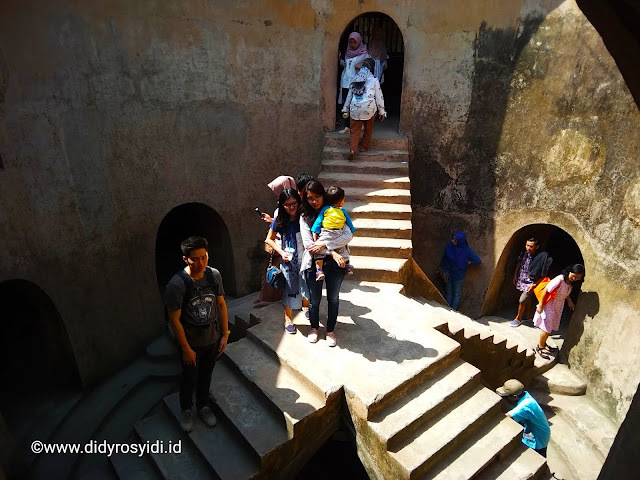 I suggest you to visit early and explore yourself around the villages little alleys, Sumur Gemuling and underground tunnels. And don't forget to take a perfect shot for your Instagram feed to make envy your friend hehe. FYI, for enjoying Kraton you only need to pay 8,000 rupiahs for local and 15,000 for foreigner and Taman Sari is the same price as well and add extra charge 3,000 rupiahs if you bring a camera (update June 2018). 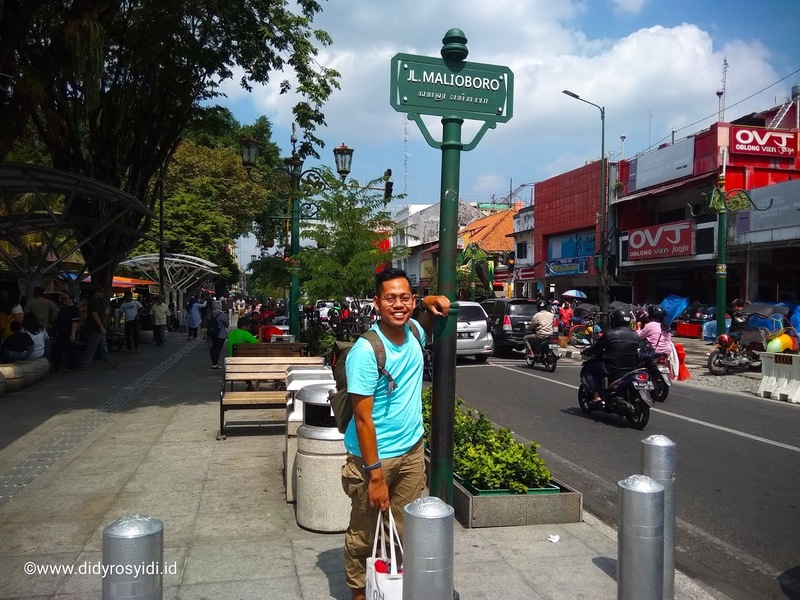 Malioboro is one of iconic place in Jogja, visiting Jogja without stroll around Malioboro is like going to Paris without checking out The Eiffel Tower. I love to have window shopping in Malioboro street, here We can find a lot of beautiful things that sold so cheap. There are plenty of Batik (trousers, t-shirt, bangles, dress), sandals, blangkon (traditional central Javanese headdress worn by men and made by batik fabric), tote bag, handcrafts and much more to buy. Or if you want to get perfect traditional market ambience, I suggest you to visit Bringharjo traditional market that located nearby this street. Try your luck to bargain everything and make it cheaper hehehe. 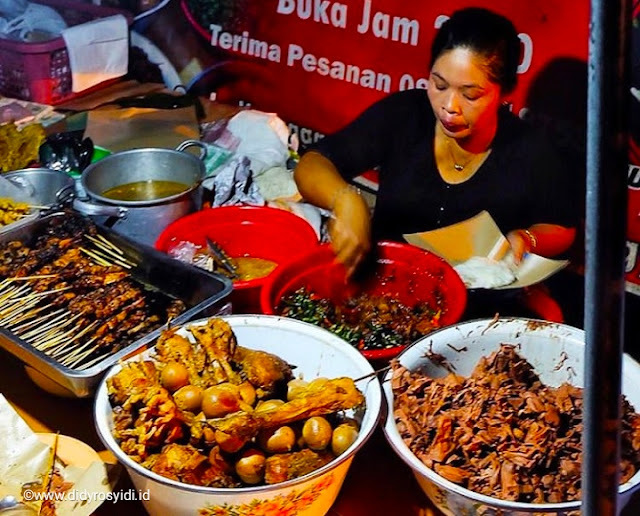 A lot of tourists prefer to visit Malioboro in the evening or at night, enjoying street music and calung while you eat some local food such as angkringan, gudeg or sego kucing is absolutely amazing. If you plan to visit this place make sure you have full charge battery because you will be overwhelming in taking so many beuatifull spot here hehe. Kalibiru now is one of the famous place for Instagrammer like you !!. The park became popular because Instagram post from the tourist, it is such a beautiful viewpoint. Now there are dozens photo point with everything from the original simple wooden platform halfway up a tree to heart shape viewpoints. If you want to collect gorgeous instagramable photos come here in the evening or early morning to get perfect shot. You can also have some outdoors activity like zip lining and bicycle in the air. Please note that this place will be busy in the weekend (so crowded). FYI, You need to pay 10,000 rupiahs per person to enjoy this place, 5,000 for car parking and 2,000 for motorcycle parking. 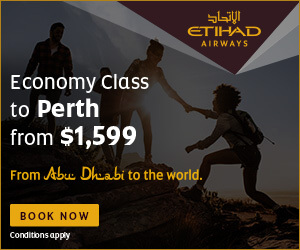 Wait, you also need to pay 15,000 per photo point spot and 5,000 per photo if you want professional photo taken by professional photographer too hehehe. If you're curious enough how those handcrafts made, join a workshop will be perfect to get to know the production process. I had only ever done silver workshop in Jogja and it was awesome. You'll learn how to make them and at the end of the course you will be able to bring home your creation, yeayy !!. 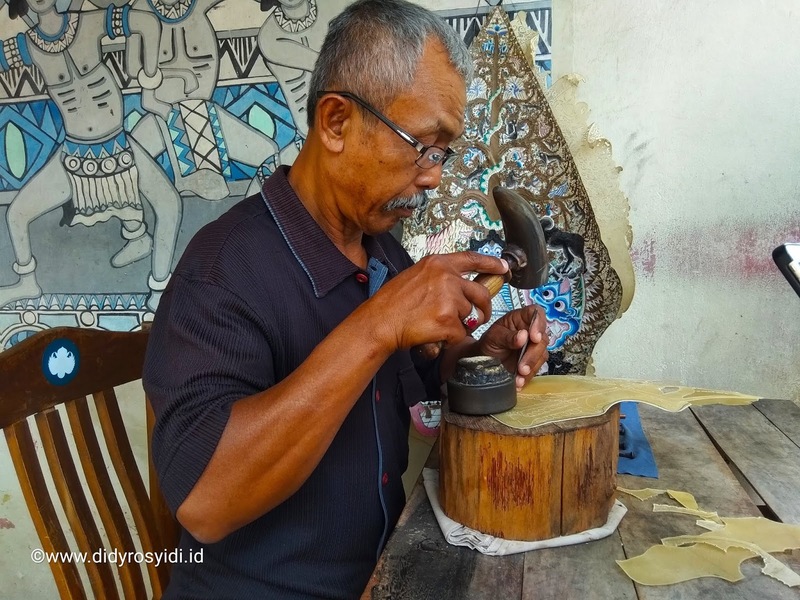 There are plenty of Batik course in Kraton area, around the small alleys and around Taman Sari. Silver course can be found around Kota Gede, pottery courses are available around Kasongan area, but wait, you need to make a reservation before the workshop day. I remember, I paid 100,000 rupaihs for short silver course, worth it !!. If you don't know where to hange out or stuck in the evening, I would recommend visiting Alun-Alun Selatan Kraton. You will be surprised how crowded this place can be at night (I was surprised too). 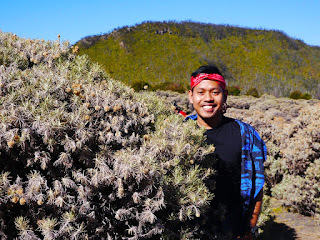 You will mostly find Indonesian tourists and local around Alun-Alun Selatan, They will be busy trying to do twins bringin tree challenge (I won't tell what this challenge exactly about, to make you more curious, just Google it hahhaha). Enjoy the night breezy weather, eat local food or ride a super blink car. You will either giggle or be shocked when you see the super bling-bling cars. Actually, they are a paddle cars and they are about the same size as a VW Beetle, I guess. 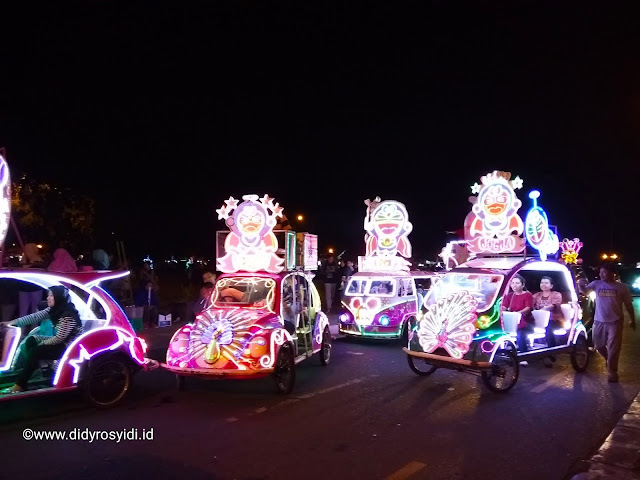 The cars are equipped with hundreds of bright lights and loud music even equipped with a small TV, OMAYGAAAAT, so amazing hahahha. If you want to try this car you need to pay 15,000 rupiahs for one loop (for 4-6 people). 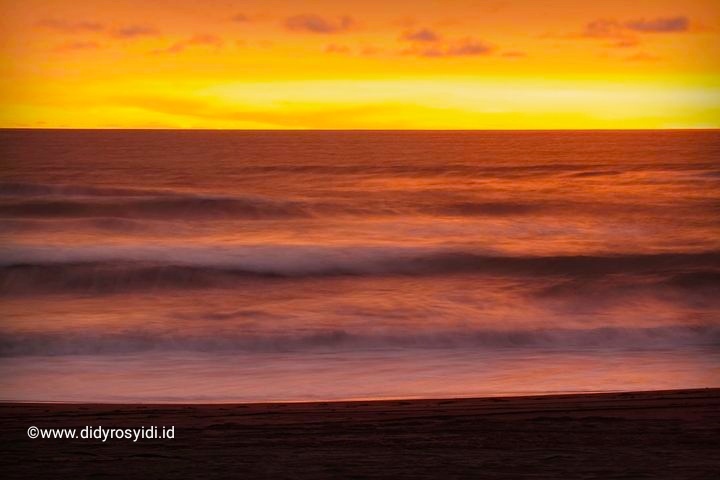 Might be you want the vitamin sea after some days enjoying the Javanese culture, so sunset at Parangtritis will definitely make your stressed out goes out from your days hehehe. Parangtritis Beach is around 25 KM from the city center, the beach is always busy with locals during evening and on weekends of course. Here you can have a picnic, ride ATV (all-terrain vehicle), enjoy the sunset, photograph the scenary, swimming or go paragliding (only available between January and February). 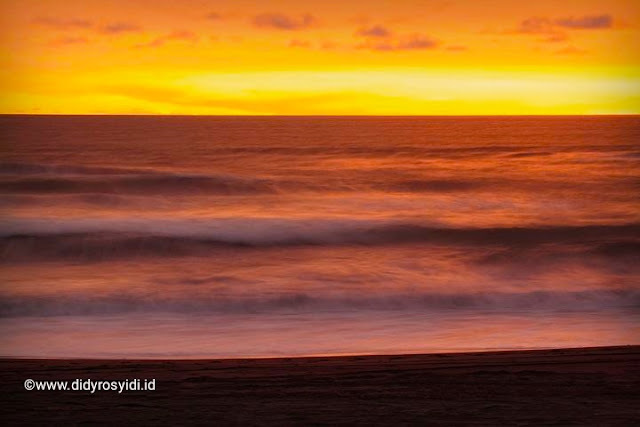 Besides, one more activity that people miss out on is sand-boarding at Gumuk Pasir not so far from the beach. There a lot of local food in Jogja that will make paunchy tummy hahahha. If you're wondering about what's authentic Jogja cuisine, you should obviously give Gudeg a try. Gudeg is made from young unripe jackfruit boiled for several hours with palm sugar (hmmm, yummmy) and coconut milk. It's served with steamed rice and chicken in coconut milk (opor ayam) or telur pindang (boiled egg) and tofu or tempe plus sambel goreng krecek, it is so delicious, please do give a try !!. I suggest you to eat these foods at Ibu Ageng or Bale Raos, and also one of my favourite Gudeg is Gudeg Pawon on Janturan street but unfortunately only opens at 10-12 PM. Another suggestion would be taking one of the evening food tours and don't forget to put Kopi Joss on your list hehe, it is a glass of black coffee served with black charcoal, you can guess the aroma and the taste of this coffee hehehe. Wait, don't forget to buy some Bakpia Pathok to your family at home, they would definetly like with this Bakpia hahahah. Actually there are more things to do in Jogja but this list will be perfect even you only have two days exploring Jogja. So, do you have any plans to Jogja soon ?, What would like to do in Jogja ?, Share your ideas with me 😄😄😄. Happy travelling travel buddies !! Aahh jogja.. Been there and done that. I have an alternate recommendation place similar to Kalibiru. The name of the place is a pule payung if I'm not mistaken. 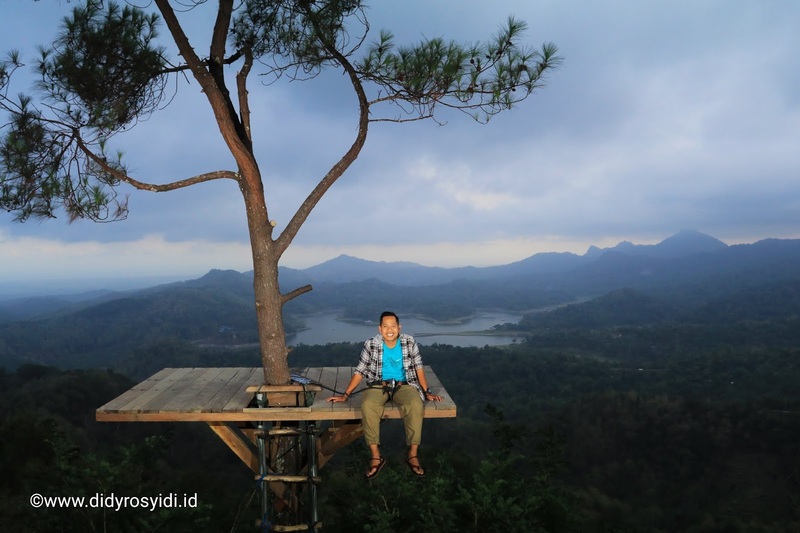 The location is not far from Kalibiru, just slightly uphill from Kalibiru and you will arrive. 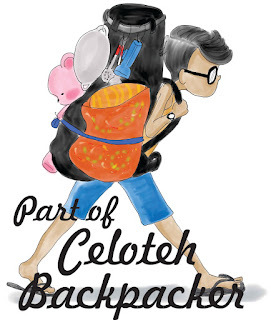 You can use local transport or ojek to go there. Really love the beauty of Jogja. I know it, but unfortunately I didn't go there 😪 because I arrived to Kalibiru around 5 PM and gloomy day . But the ticket officer said the pule payung it's really worth to visit. I cross my finger,next trip I'm gonna visit it hehehhe. Yg hangout di alun2, harganya mahal bngt waktu itu, harus jago nawar sama parkir juga..
KayajKay sih beda2 orang nawarin harganya beda kali ya. Cuman Saya dapet harga segitu mungkin Karena keliatan ngegembel sendirian wkwkwkkw..
ngomongin jogja emang gak akan ada abisnya ya mas. terlalu banyak hal menarik di sana. Waktu ke candi Borobudur kok ngga calling-calling aku ya 😁 ? Nyobain aja pake Bahasa inggris sekalian belajar nulis pake Bahasa inggris biar gak lupa vocab hehehhe. Oyiih, emang Di Magelang Mas ?. Aaaah tau gitu Gue mampir ya 😁. Makasih :), Iya dongs wajib hukumnya Mas. Ibaratnya ke Eifel tower Di Paris hahahha.